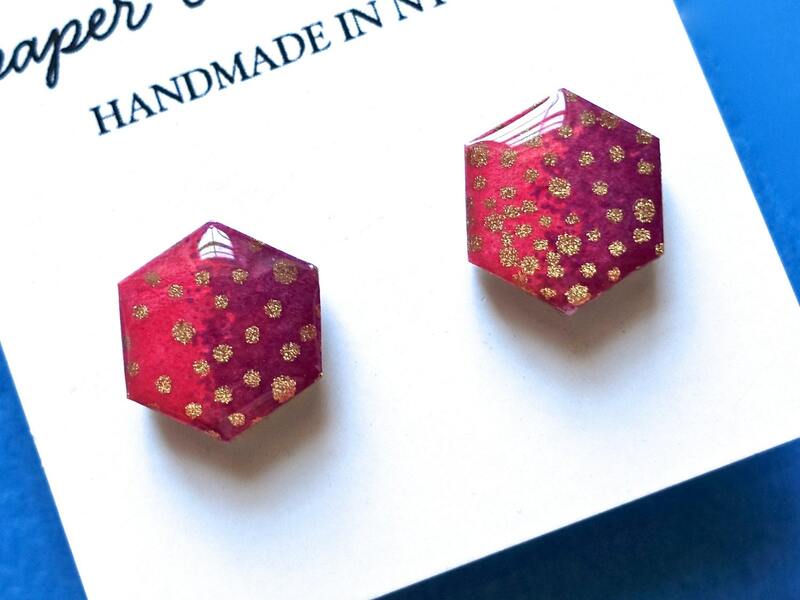 Pink/coral ombre hexagon stud earrings with starry gold dots. 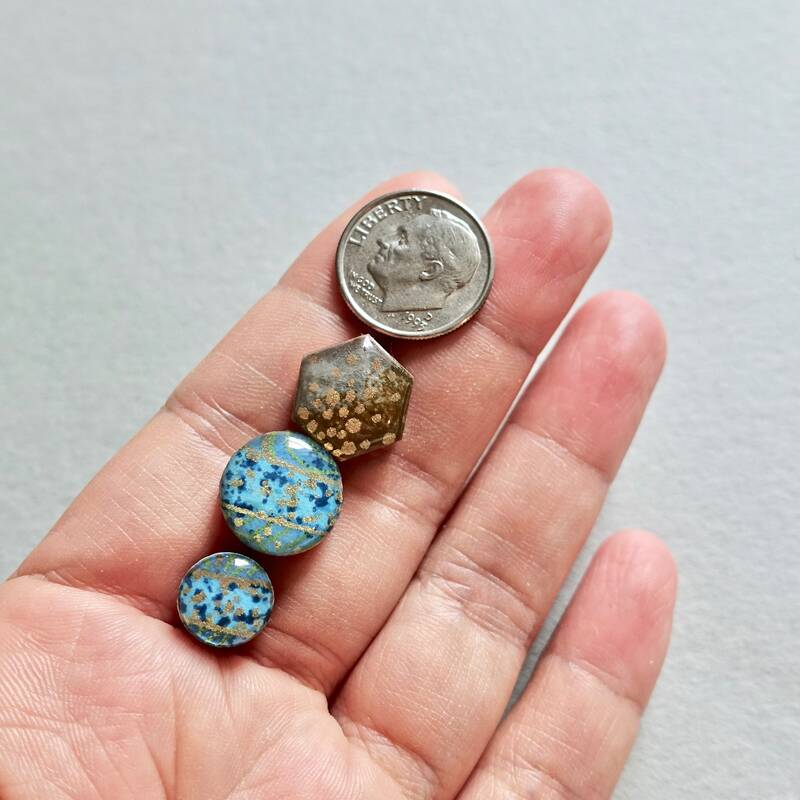 Earrings measure 12mm from point to point. Made from paper and wood, and coated with resin. Super comfortable and lightweight. Earrings are water-resistant.